Install Silberne Wall Sconce on your bathroom wall, it’ll look gorgeous. 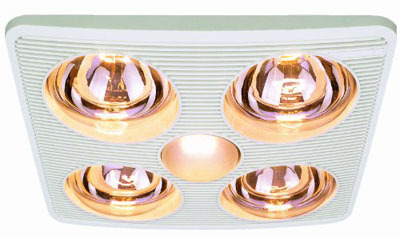 It features rugged, coastal design with partially-shielded bulb as the light source. It looks really nice, adding classic touch to your existing bathroom décor. The body of this light predominantly consists of a clear seedy glass shade, those tiny bubbles catch and refract light, creating a nice shimmering effect. The steel frame accent on the shade along with narrow bars that curve up to the center hub connects to a round wall plate, giving an elegant appearance. This is a product of Kichler Lighting, a Cleveland based company that’s been known for creating exceptional lighting in variety of styles and designs. There are 2 options available: classic pewter or natural brass. 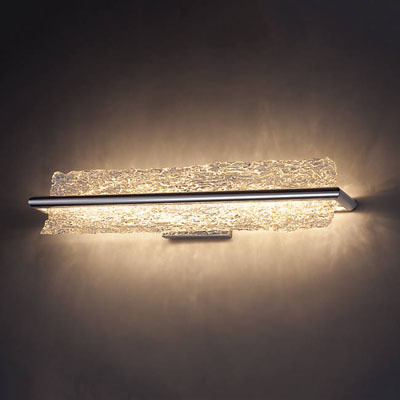 Choosing a good lighting system for our bathroom may sound easy to others and not to some as there are a lot of things to consider when buying one like when you purchase a piece of Dailyart Stainless Steel Acryl 10w LED Bathroom Light, it does not only offer the right illumination that your bathroom requires but also it will help you save energy. The light comes at 82-256 Volts and 10 watts, which in our understanding will consume a very small portion of your monthly electricity bill when in use. It is made of stainless steel, so you need not to worry about rust that will ruin the look of your bathroom light and will eventually affects the light’s performance in the future. A good and high quality lighting system in your bathroom will not only provide the right illumination needed but will also give you the cool and relaxing ambiance you just need as you enter your bathroom just like what Vetri LED Bath Bar can give. 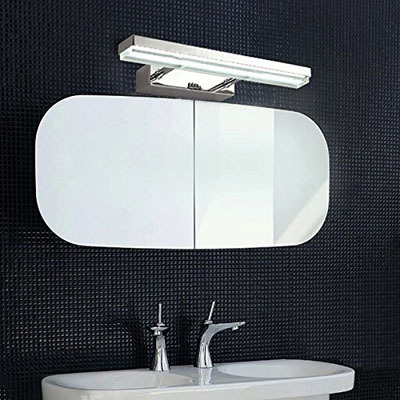 This lovely bathroom lighting solution got its name from the Italian word for glass. 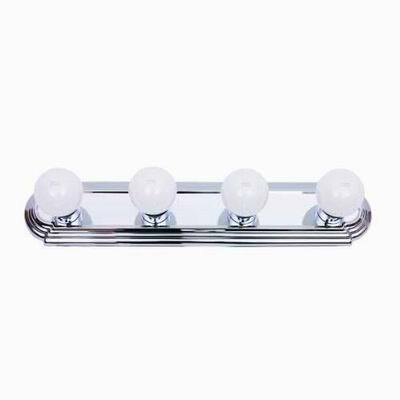 That being said, Vetri LED Bath Bar is made of Plastra style glass that are appropriately hand crafted. The bath bar has the linear line of LEDs that are responsible in creating an eye catching sparkling effect. The spaghetti style textured glass adds up to the beautiful and stylish illumination the bar provides. Many of us finds the bathroom a favorite place to stay and relax and so to add the calm and cozy ambiance of our bathroom a classy and relaxing P2978-09 3-Light Wall Bracket with White Linen Finished Glass and Clear Edge Accent Strip is of no doubt a good buy. The brush nickel finish gives the bracket an elegant look in addition to the sleek and clean design. The bracket can hold three bathroom lights and it has a white linen finished glass that serves as diffuser, which on the other hand is another lovely asset of the bracket. Another eye-catching addition to the beauty of the bracket is the clear edge accent strip. The right amount of ventilation is important in every room including your bathroom and you can easily achieve it with Aero Pure A716B W 4-Bulb Quiet Bathroom Heater Fan With Light. This functional bathroom fixture has the grille dimension of 14 3/8 by 11 5/8 by 7 1/8 inches making it able to provide the right amount of ventilation you need when using your bathroom. 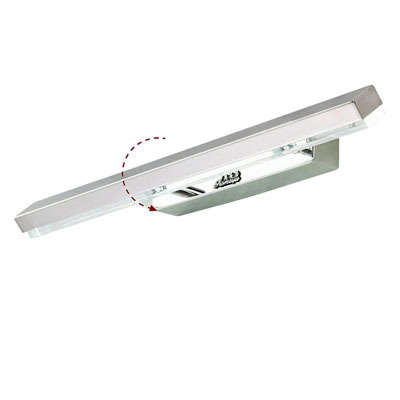 However, unlike the other bathroom fans available in the market, this one from Aero Pure will not only provide ventilation but also the right amount of illumination you need. At a price of one, you get to enjoy the comfort and safety you need when you enter your bathroom as long as you have the Aero Pure A716B W 4-Bulb Quiet Bathroom Heater Fan With Light. 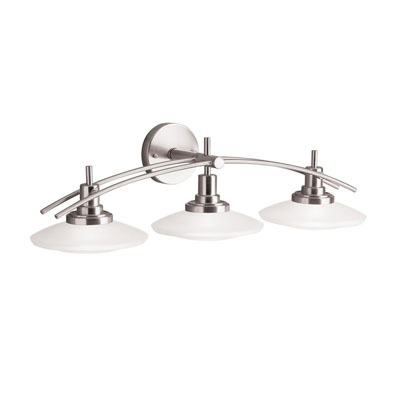 We all want a warm and relaxing illumination even in our bathroom and we can easily achieve it with the help of Yosemite Home Decor 4504-8 Chrome-Finish Bathroom Vanity Fixture with four lights. As its name suggests, it is responsible to brighten your vanity area and it will not just simply brightens but a Broadway-worthy result. This lovely home décor for your bathroom is designed to be wall mounted and it features a wide chrome base. The smooth and gleaming face of the 4504-8 vanity fixture adds up to its decorative appeal. 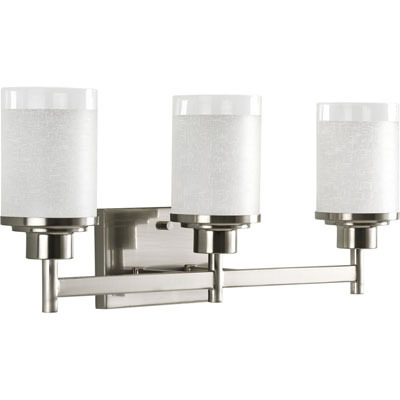 A classy lighting system is not only for living rooms but also for other parts of the house like in your bathroom and to illuminate your bathroom with warm and classy lighting system, the Kichler Lighting 6463NI Structures Wall-Mount 3-Halogen Bath Light With Glass Shades is good thing to go. 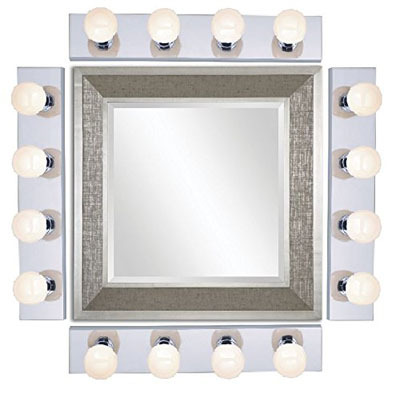 This wall mount bathroom lighting fixture has three lights in it and can illuminate your vanity area. The brushed nickel finish made this light elegant enough to complete your classy bathroom interior. 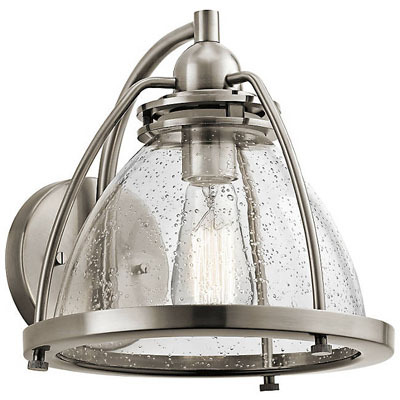 CLICK HERE to get an idea on how Kichler Lighting 6463NI Structures Wall-Mount 3-Halogen Bath Light With Glass Shades illuminates your bathroom in style.